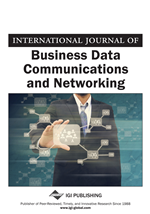 Realistic simulation scenarios are critical for correctly assessing the performance of mobile ad hoc networks. This paper presents a tool to generate realistic mobility traces for MANET simulations. A new mobility module called AMADEOS was developed as an extension for the CANUMobisim framework. AMADEOS makes it easy and fast to automatically generate realistic mobility. It allows editing spatial environments with polygonal obstacles to be used within simulations. It also allows visualizing an animation of the generated mobility traces. To model mobility for simulation environments, a new mobility model was created that takes into account obstacles. A new propagation model based on ray tracing was also implemented as part of AMADEOS. AMADEOS was used to re-evaluate the performance of the AODV routing protocol in some realistic scenarios.